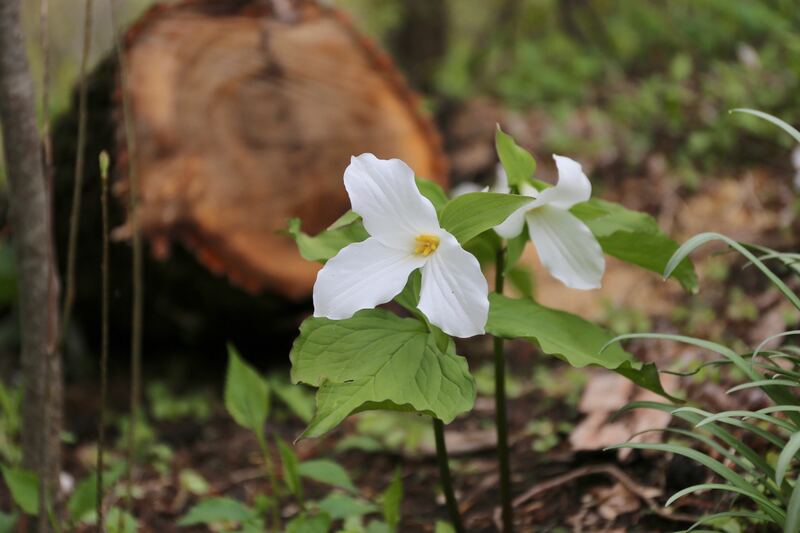 Trilliums are one of America’s most beloved wildflowers. In the spring, you can find them blooming in woodlands and hedgerows throughout most of the country. The plants are easy to identify. Each stem has a whorl of three leaves and a single flower with three petals and three sepals. There are more than 40 species of trilliums and most of them are native to the U.S. Not all are available commercially, but gardeners have many choices, including named cultivars and hybrids. T. rivale, a West Coast native, commonly known as brook wake-robin. Trillium erectum is an East Coast native commonly known as red trillium or stinking Benjamin. Some trillium species are endangered, so be sure to purchase yours from a reputable source. Look for plants that were nursery-propagated or were rescued (with permits) from construction projects. In the wild, trillium grows in the dappled shade beneath mature deciduous trees and shrubs. The plants need lots of bright light in the spring and will struggle if it’s too shady. The soil should be well drained, yet also rich in organic matter. If you have a spot where hellebores and primroses are happy, trilliums will probably be happy there, too. Trillium needs consistent moisture during spring and early summer. A yearly application of shredded leaves will help to retain moisture, improve the soil and buffer pH levels. Most trillium species are reliably winter hardy in zones 6-9. But hardiness varies by species and some of them will thrive in even the coldest parts of the country (zones 3-5). Trillium are slow growers. It can take 2 or 3 years for the seed to germinate, then another 4 to 5 for the plant to reach flowering size. With enough time and the right growing conditions, the rhizomes will eventually multiply. The plants will also produce seeds and self-sow. Once established, individual plants can live for more than 25 years. 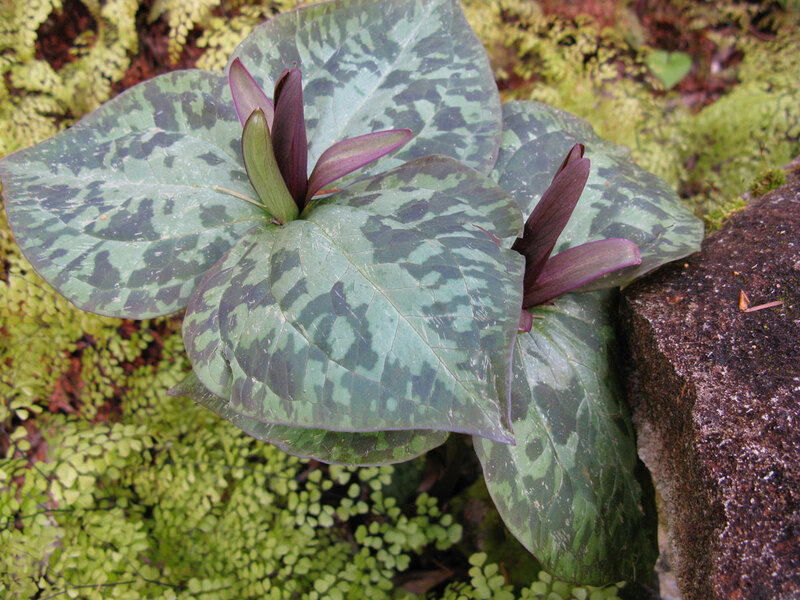 A sessile trillium with its upright flowers and beautifully patterned foliage. 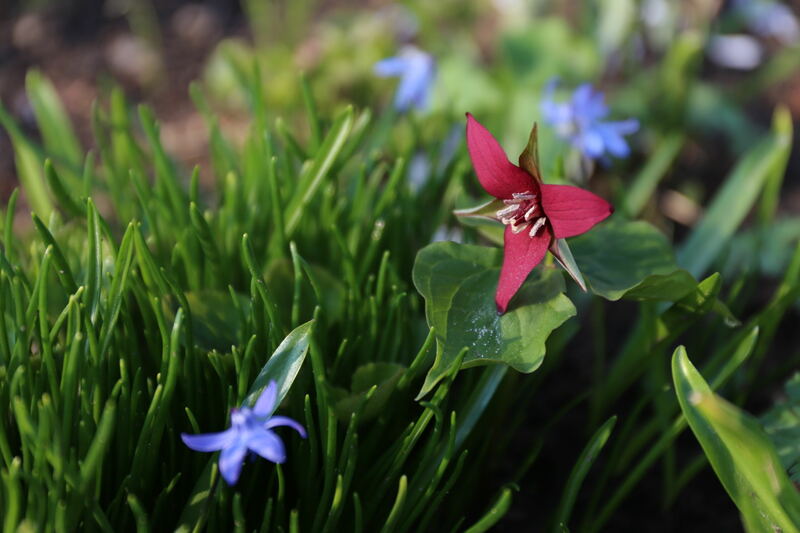 Trillium displays their flowers in one of two ways: either on a short stalk as with red and white trilliums (pedicellate) or directly on top of the leaves (sessile). Sessile trilliums are often grown for their decorative foliage as well as their flowers. 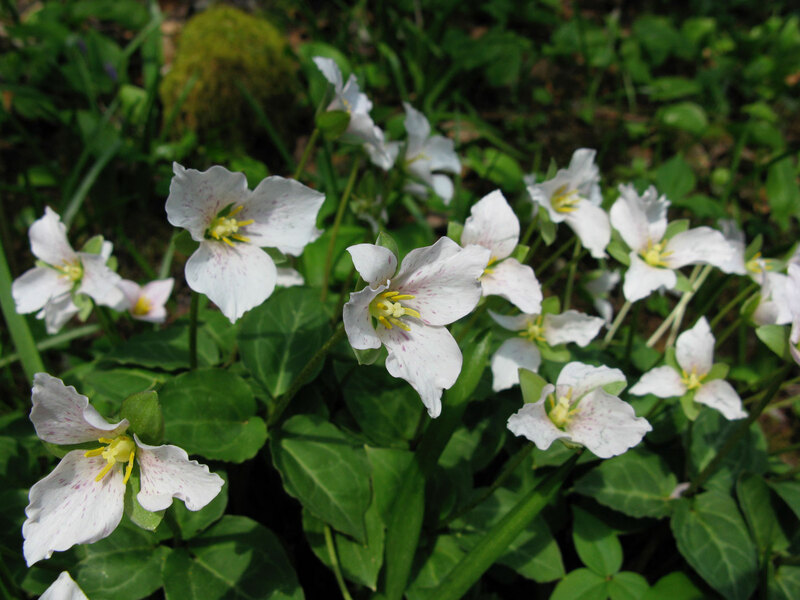 Trillium are easily overcome by aggressive groundcovers such as lily of the valley, wild ginger, and myrtle. Fortunately, they will happily coexist with most early spring flowers. Good companions include hepatica, epimedium, erythroniums, primula, cyclamen, dicentra, sanguinaria, and arisaema, plus spring-flowering bulbs such as scilla, chionodoxa, and anemone. Trilliums are rarely troubled by diseases or pests, but they will not tolerate damage to their flowers or foliage. Pretty as they are, you should never pick the flowers as it may permanently weaken the plant. Unfortunately, deer find trillium very tasty. If the plants are heavily browsed for several years they will gradually die out. 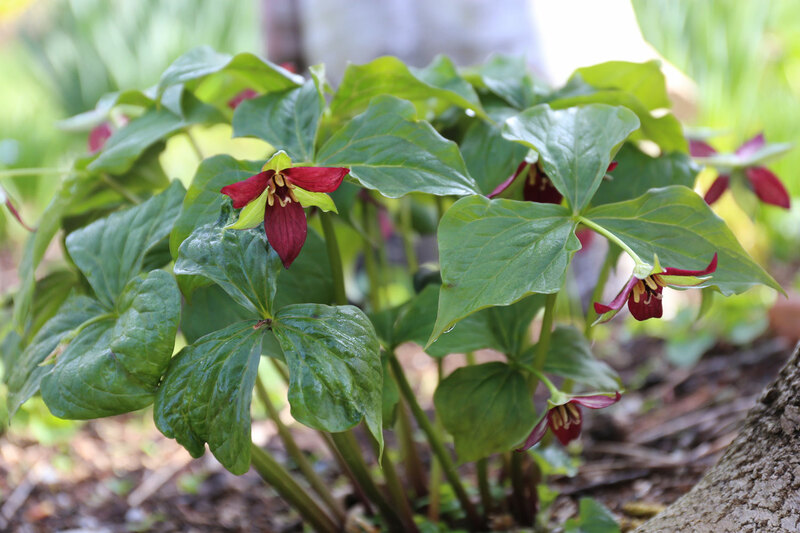 If you have a shady area in your yard, consider turning it into a beautiful spring garden by planting trilliums and other early-blooming perennials and bulbs. Watch this VIDEO to get inspired!